In Hindu mythology,Saraswati Devi is controller of education, intelligence, speech and music. 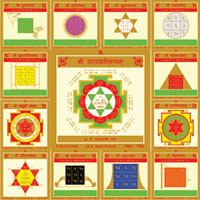 Sampoorn Vidya Pradayak Yantra is comprised of 13 yantras with Saraswati Yantra in Centre surrounded by following 12 yantras viz. 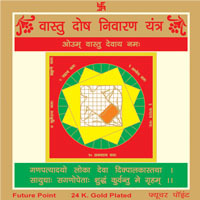 Surya Yantra, Shukra Yantra, Chandra Yantra, Mangal Yantra, Gayatri Yantra, Ketu Yantra, Rahu Yantra, Shani Yantra, Geeta Yantra, Navdurga Yantra, Brihaspati Yantra, Budh Yantra. 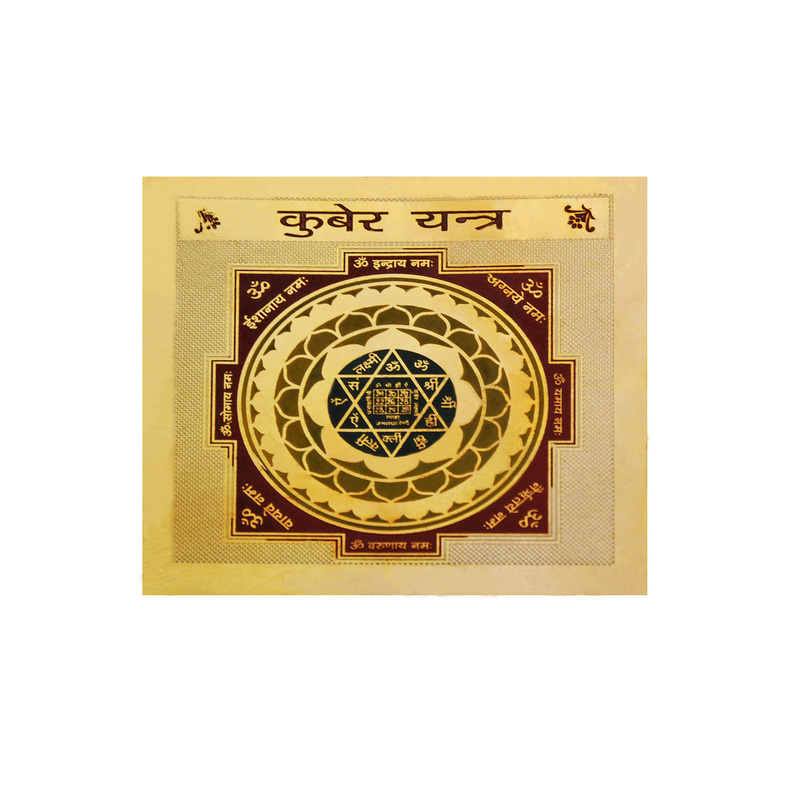 By worshipping this yantra one will be blessed with success in examinations and concentration in studies. It sharpens grasping power, memory and intellect. This yantra should be worshipped specially by children and students who suffer from break in education. It is beneficial for higher studies and competition. For acquiring spiritual wisdom the grace of Goddess Saraswati is very essential. Sprinkle ganga jal or clean water on it and keep at place of worship on Wednesday morning and recite following mantra 108 times. Mantra: "Om Shree Saraswatyai Namah". The significance of all the yantras in Sampuran Vidyapradayak Yantra is explained below. Saraswati Yantra - Goddess Saraswati Yantra is beneficial to enhance education, erudition, intelligence, creativity and efficiency in music. Buddh Yantra - It sharpness intellect, memory and communication skills. Shukra Yantra - It enhances creativity and makes one more focused in education. Chandra Yantra - It is beneficial for concentration of mind. It makes the native more receptive and equips him with powerful imagination. 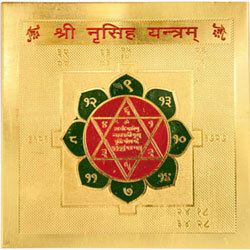 Brihaspati Yantra - It enhances knowledge, erudition and spiritual insight. Surya Yantra - It sharpens the intellect and brings educational success. Mangal Yantra- It improves performance level in the field of education. 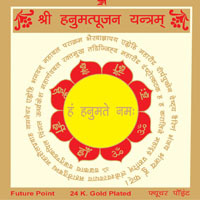 Navdurga Yantra - It brings all round success, victory, success in competition and overcomes hurdles. Gayatri Yantra- It sharpens intellect, enhances knowledge and eradicates sins. Geeta Yantra- It makes the students more focused in their studies. Shani Yantra - It overcomes obstacles. Rahu Yantra- It is a blessings for overcoming, examination fear. It overcomes obstacles. Ketu Yantra - It enhances power of understanding and equips the student with special talent to understand the concepts thoroughly.